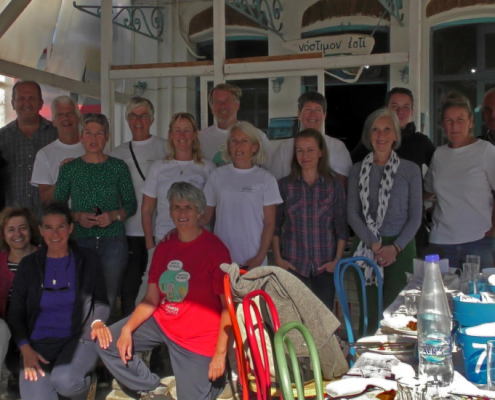 Our Dutch Volunteers’ Andros journey comes to an end – Days 7 & 8 ! 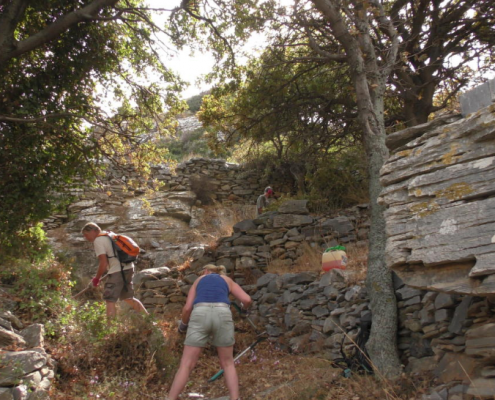 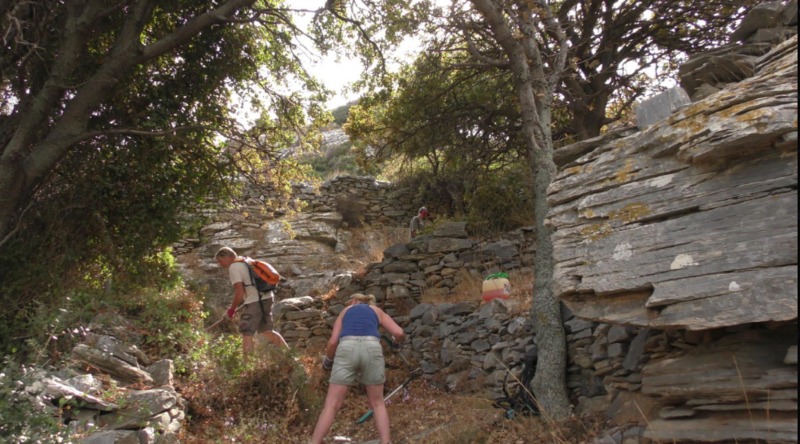 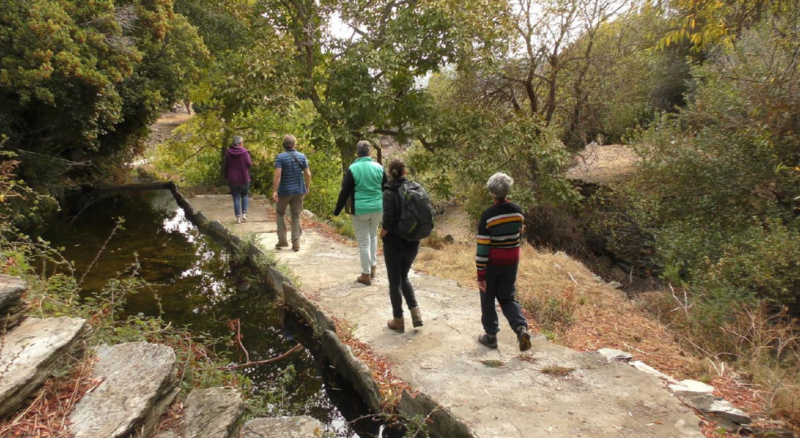 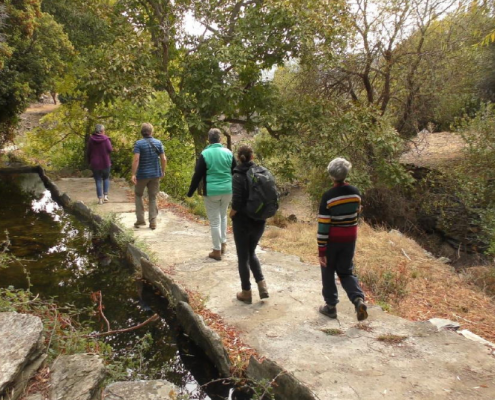 The 7th and last working day of the Dutch volunteers was dedicated to completing the opening and clearing of a circular route near Pera Chorio of Gerakonas. 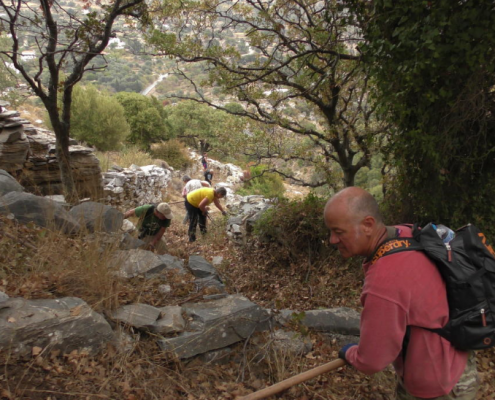 The magnificent cobblestone steps from the Aladinos cave to Koureli were almost completely uncovered and restored to their former glory giving us all a great sense of joy and reminding us that there is always one more goal to be achieved…. 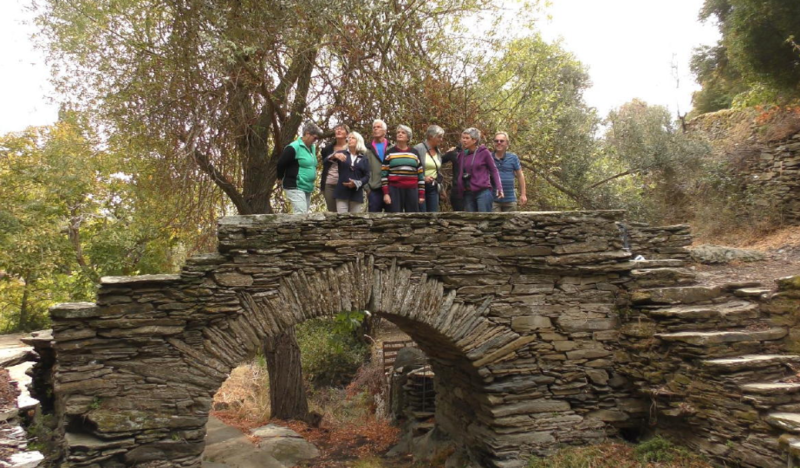 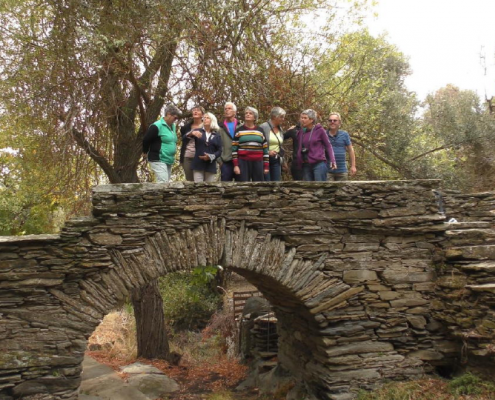 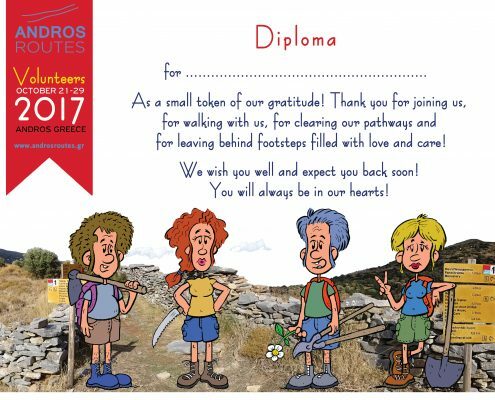 As usual the Dutch volunteers were joined by local Andros Routes volunteers. 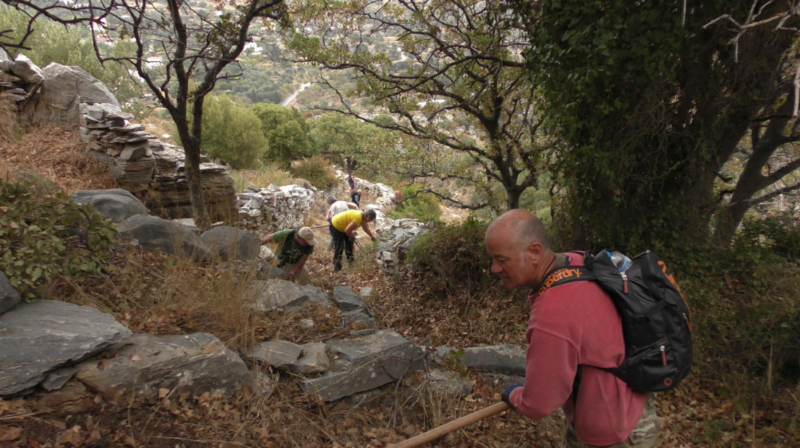 On this 7th day Dimitris Bothos, Nikos Paraskevopoulos, Giorgos Vrettos, Myrto Apostolopoulou, Joseph Papadopoulos and Olga Karayiannis came along to help. 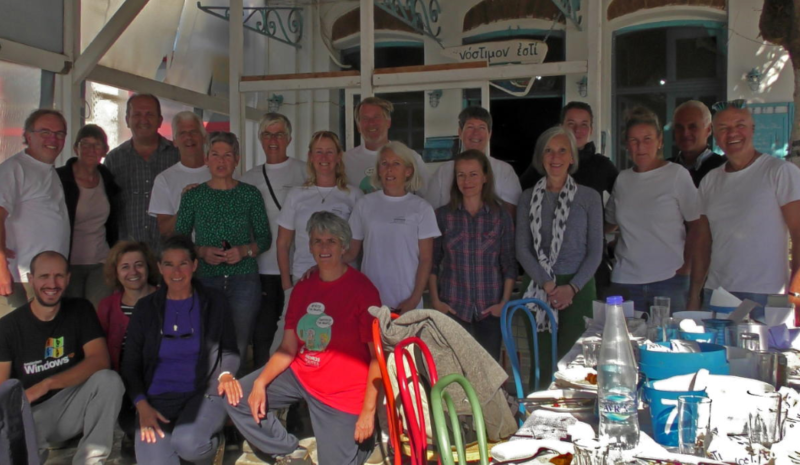 The day was completed with lunch provided by Katerina Remoundou at the Josef restaurant. 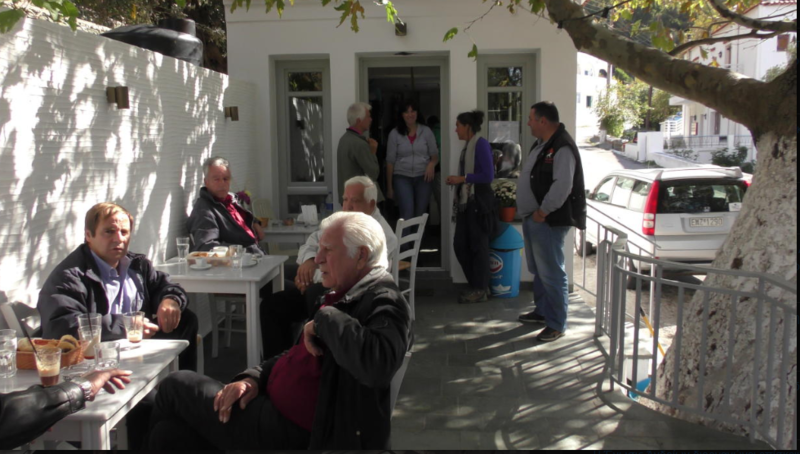 We were joined by accordion player Violanti Vratsanou, who has been a passionate supporter of Andros Routes in recent years. 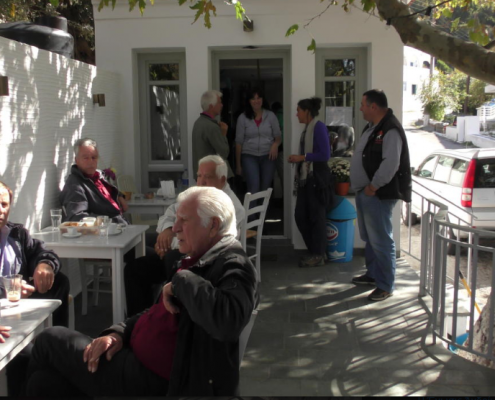 With music from Violanti and singing from Eleni Economopoulou, one of Andros Routes steady supporters, a lovely atmosphere was created and the volunteers danced with us to the accompaniment of the accordion. 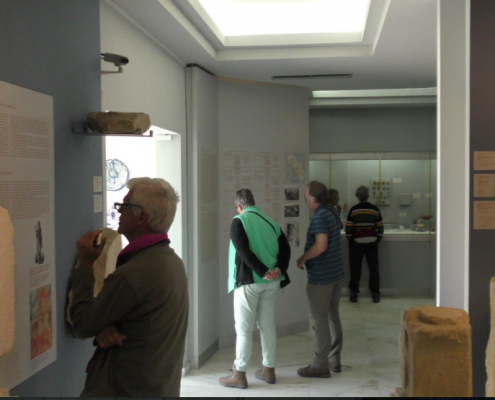 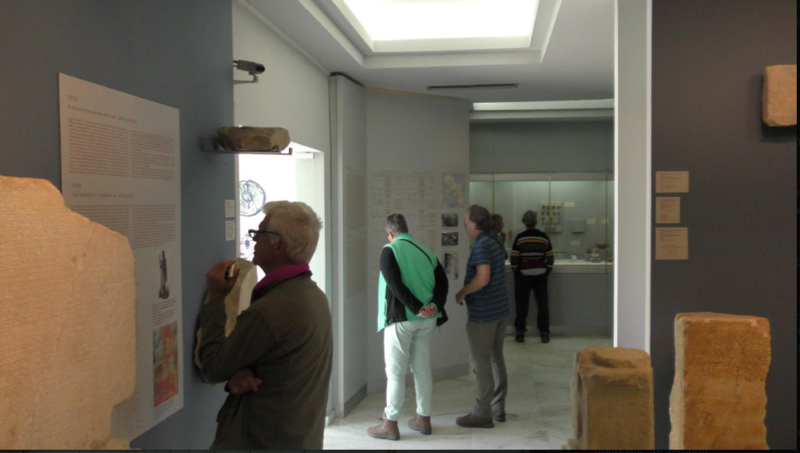 The last day of the volunteers’ trip started with a short tour organised by by Vangelis Loukisas to the Piskopi bridge and then a visit to the Paleopolis archaeological museum. 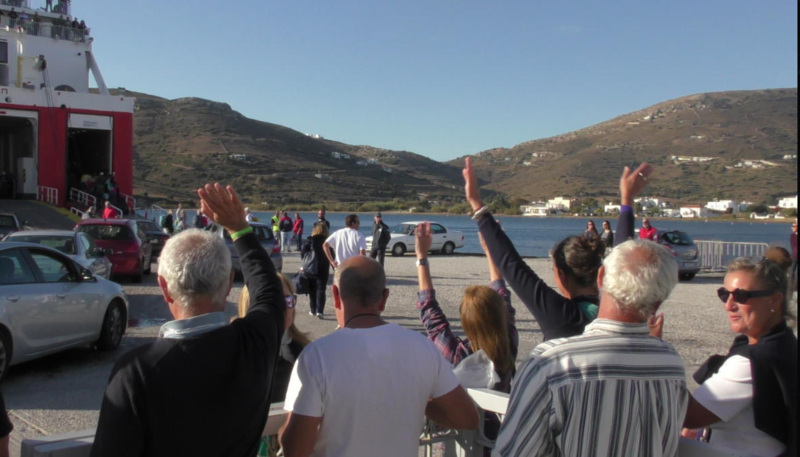 The volunteers had one last swim at Golden beach before returning to Gavrio for a farewell meal. 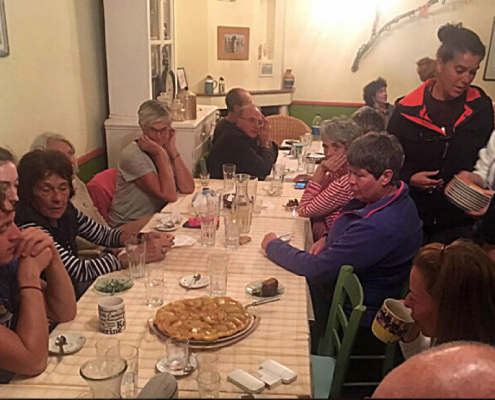 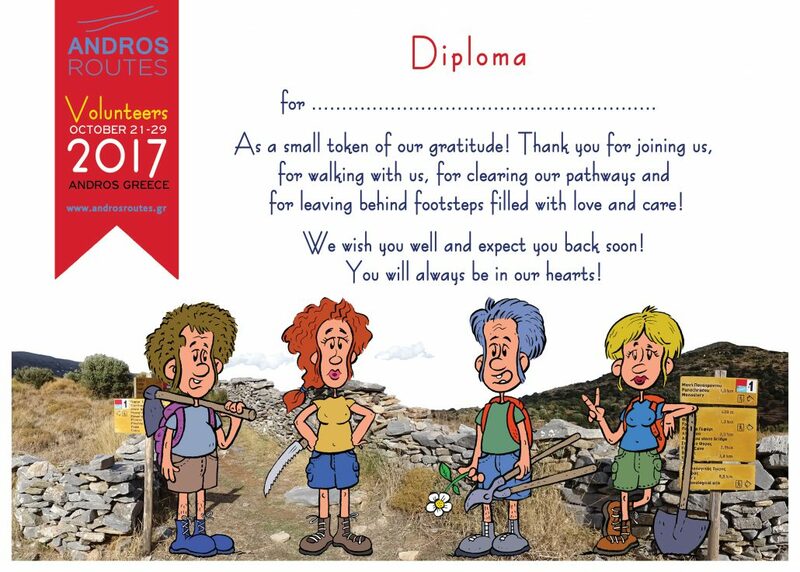 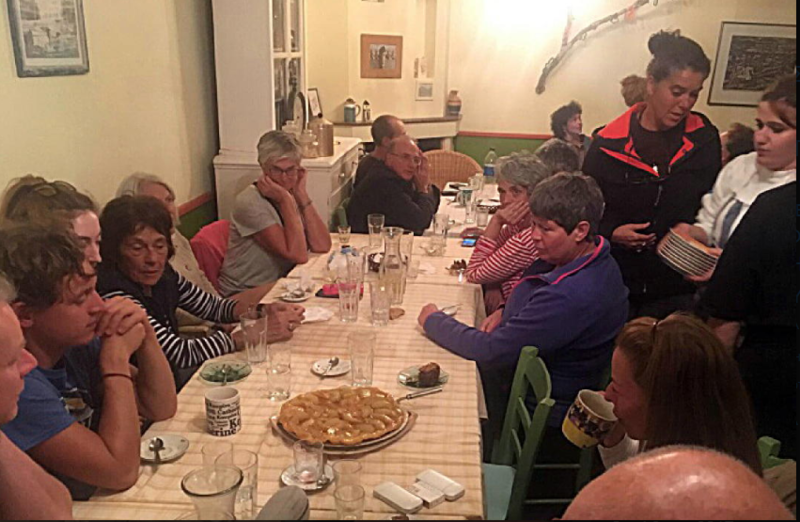 At the end of the meal we expressed our gratitude to all of the volunteers and provided them with a certificate designed by Achilleas Kleisouras, handmade soap from Eleni Kourtessi and an Andros Routes T-shirt & mug. 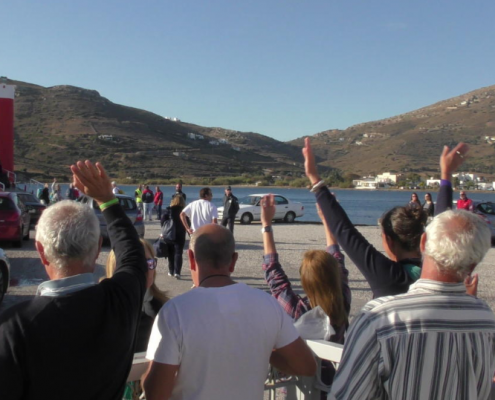 Our volunteers left the island uplifted and in great spirits, with Andros in their hearts and the promise of return…for some return in only a few weeks!